It’s important that actors who are cast are able to learn the lines at an early stage in order to achieve the pace the play demands. Don’t feel too limited by the specified ages (apart from the teenagers) as it will be more important that the relationships between the characters are right. Please email audience@gardensuburbtheatre.org.uk for the script and audition pieces. Charles who is somewhat older. Merrill also American, in his dotage. Joan her mother, 60s or 70s. Lee in his late teens. Keith 30s to 50s, on his own. Wendy mid to late teens, their daughter. Usherette any age, very few lines to say. Tuppy Glossop has dropped Bertie Wooster’s cousin Angela to pursue a romance with operatic diva Cora Bellinger. 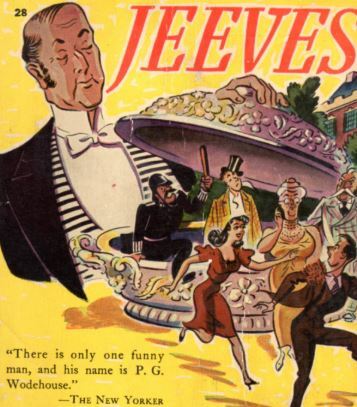 Ordered by his Aunt Dahlia to break up them up, Bertie finds himself called upon, in a plan orchestrated by Jeeves, to sing at a charity concert. A brand-new adaptation of the P G Wodehouse story. Francis wants to be as flexible about ages as possible, so ages given are approximate, but Bertie, Tuppy and Beefy will need to be roughly of an age, since they were at university together. The play is set in the 20s or 30s, so men will be asked to have their hair cut appropriately and shave off all facial hair. Please email jeeves@gardensuburbtheatre.org.uk for the script and audition pieces, stating what parts you are interested in. Angela Travers 20s or 30s.